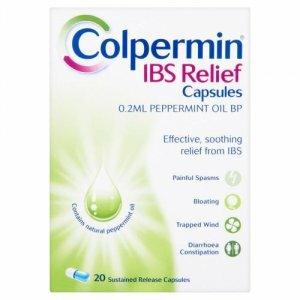 Colpermin IBS Relief Capsules are an antispasmodic which are used to relieve spasms and cramps which occur in the large bowel in Irritable Bowel Syndrome (IBS). 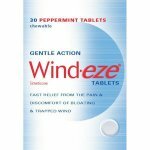 The capsules contain peppermint oil, which relaxes the spasm of the bowel wall. This relieves pain and allows pockets of gas, which may have made you feel bloated, to pass along the bowel and out of the body. 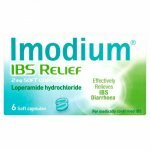 Irritable Bowel Syndrome is a condition in which there is pain, spasm and bloating at almost any point between the groin, the navel and the sides, sometimes accompanied by diarrhoea and constipation. The symptoms may be more noticeable when you are feeling stressed and anxious. Take one capsule three times a day. If symptoms are severe,the dose can be increased to two capsules taken three times a day. 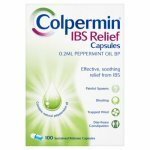 Colpermin IBS Relief Capsules are hard gelatine capsules. There is a chance that the capsules could break when they are pushed out. Push out the capsules from the blister pocket with slight pressure toward the end of the capsule. Do not take the capsules immediately after food. 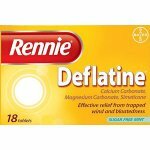 Do not take the capsules at the same time as indigestion remedies as they may damage the capsules. Do not chew or break the capsules before swallowing. If you are allergic to peanuts or soya. If this is the first time that you have suffered from these symptoms. 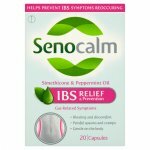 If you are aged 40 years or over and it has been some time since your last attack of IBS, or your symptoms have changed. If your symptoms worsen, or do not improve over 2 weeks. 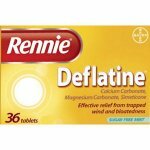 If you are taking any indigestion remedies. If you have passed blood from your bowel. If you are vomiting or feeling nauseous. If you have lost your appetite. If you are unusually pale or tired. If you have severe constipation. If you have recently travelled abroad. 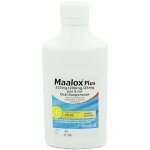 If you have abnormal vaginal bleeding or discharge. If you have difficulty or pain when passing urine. Ask your doctor or pharmacist for advice before taking this medicine if you are pregnant, planning a pregnancy, suspect you are pregnant or breast-feeding. This product contains arachis oil (peanut oil). Do not use this medicine if you are allergic to peanut or soya. Peppermint oil can cause allergic reactions in very rare cases (rash, headache, slow pulse rate, loss of co-ordination and shaking). These symptoms may occur in association with alcohol. Allergic reactions to peppermint oil or menthol including rash, headache, slow pulse rate, loss of co-ordination and shaking can occur. These may occur if the capsules are taken with alcohol. 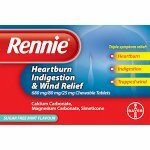 If you already suffer from heartburn and this worsens after taking Colpermin IBS Relief Capsules, you should stop taking this product and consult your doctor or pharmacist for advice. Peppermint oil, gelatin, colloidal silica, titanium dioxide (E171), indigotine (E132), Eudragit L, Eudragit S, triethyl citrate, ammonia, monostearin, polyethyleneglycol 4000, talc, purified water, beeswax, refined arachis (peanut) oil.